Preheat oven to 375F/190C. Butter 12 muffin cups or line them with liner papers. In a large bowl, mix together flour, baking powder, baking soda, salt, and sugar. Set aside. In a medium bowl, whisk together eggs, yogurt, oil, and vanilla extract. Pour the egg mixture into the flour mixture and fold with a rubber spatula or wooden spoon just until combined. Do not overmix. The batter should be quite thick and lumpy. Gently fold in raspberries (if using frozen, use them straight from the freezer without thawing) and white chocolate. Divide the mixture between the muffin cups almost all the way to the top. Bake for 15-20 minutes, until a toothpick inserted into the center of a muffin comes out clean. Allow to cool for 10 minutes, then remove from tin and place on a wire rack to let cool completely. 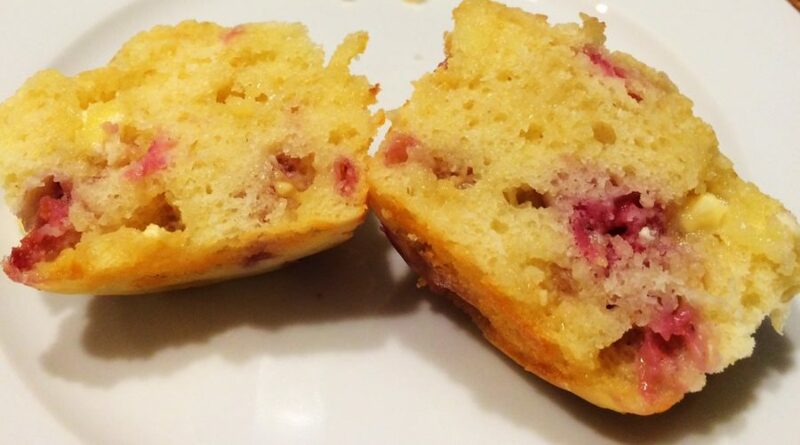 Muffins are best the same day they are made, but can be frozen in an airtight container for up to 2 months. Thaw on the counter or overnight in the fridge.